Well thank God that presidential election is over. The only snow white candidate, Michael D, is now the 9th president of Ireland, and he leaves behind him the 6 other hopefuls whom he dwarfed. In order of how they were ultimately ranked; There was Forgetful, who couldn’t recall any alleged brown envelopes. There was Naive, who wrongly thought that the troubles are but a distant memory to this Island. Next was Bashful, who didn’t seem to have anything worth saying all campaign, followed closely by Noisy, who had plenty to say. Then of course there was Loopy, who claimed people were out to slash her tyres. And last and –in the eyes of the voting public – least, Vanity, who seemed to spend most of her campaign money on a red dress and a makeover. A record 7 candidates stood for election in this campaign, and yet even so this failed to impact on Michael D. Higgins gathering the highest first preference vote in Irish presidential election history. Is this testimony to a great man, or rather a damning indictment of the other six candidates? Opinion is divided on this matter. It was certainly an entertaining campaign, if you like the Jeremy Kyle show. The constant bickering between candidates did much to lessen the importance of what is already a fairly unimportant post in the grand scheme of things. This did not feel like a weighty meeting of 7 of the finest minds in the country, ready to do battle in order to win the hearts and minds of the people. It felt rather more like at times one candidate was in one of those carnival, games where 5 of the other candidates threw stones until they hit a target and the one unfortunate enough to be seated was dunked in water. And then there was Michael D. It is said that empty vessels make most noise, and Higgins kept his nose and his image clean throughout this campaign by saying nothing. He was only vociferous in defending his age. He feels there is no issue with him being a septuagenarian, who will emerge shakily from the Aras at the end of his term as President a full seven years after his three score and ten. And the best of luck to him too, he seems to be in good health and sound mind. The latter being something you would have to question about certain other candidates who ran this rat race. Dana in particular perhaps. She brandished the constitution like a weapon throughout the campaign, but seemed unsure how to use it. Her Primetime Debate outburst will be the stuff of YouTube legend for years to come, as she without warning produced a statement at the end of the show where she made reference to “false allegations” being made about her family. She couldn’t divulge however what these allegations were. Finally, throughout the campaign, she showed an awful lot of contempt for Europe for someone who won the Eurovision. Some people have short memories. Which leads us nicely onto Sean Gallagher. The comedian Karl Spain had an interesting insight to make on the Dragon’s Den entrepreneur. He said at a Galway gig on election night how interesting it was that “Martin McGuinness is able to admit freely that he has been a member of the IRA, but Sean Gallagher has to come out and say ‘Oh no! I’m not a member of Fianna Fáil!’” This highlights the standing of the last government in the eyes of the public, but interestingly this was not what killed off Gallagher. His Fianna Fáil links had faded into the background. Indeed, going into the Frontline Debate with Pat Kenny, Gallagher was miles in front in the polls. In his introduction to the debate, Kenny said to the candidates; “What happens tonight will impact on voter’s decisions.” Mystic Kenny was right. Gallagher fluffed his lines, and showed all the characteristics of a Fianna Fáil stalwart including allegedly accepting dodgy cheques. The race was over bar the shouting. David Norris loves to shout. When he appeared in NUIG the week before the election, people complained of a ringing in their ears after he had finished giving his verdict on everything from college fees to Joyce. He is undoubtedly a vibrant character, but this may have worked against him in this campaign. His eccentricity, coupled with the allegations which followed him around his entire campaign, meant that he was never going to be Ireland’s 9th president. The Irish people are fundamentally conservative, and the idea that Norris could say anything at anytime, particularly as the figurehead and representative of Ireland abroad, was unpalatable to many. Martin McGuinness came in third in the end, and surprised many with the support he garnered. The reason why he gained so much support probably lies in the fact that he was a prominent figure in the Northern Ireland peace process. The reason he didn’t gain anymore certainly lies in the fact that he is a former IRA man. The Irish people have long memories, and although we have moved on from the Troubles, it was folly on Sinn Féin’s part to think that McGuinness stood a healthy chance of winning this election. However the party’s profile has been raised once again in the Republic, so mission accomplished maybe? Gay Mitchell did a great impression of John Wayne in this election. Not in so far as being stoic, brave, and a man who you’d place your trust in. Not at all. Rather, Mitchell played the role of The Quiet Man. This paragraph has 6 sentences. Mitchell himself scarcely uttered that number of worthwhile phrases all campaign. And finally the lady in red, Mary Davis. Her finishing dead last in the polls calls to mind a football anecdote. A manager of a prominent team is giving a verbal tongue lashing to his team who have had an abysmal game. Noticing some substitutes laughing and joking in the corner, he turns his attention to them. “I don’t know what you lot are laughing at, ye weren’t even good enough to replace this worthless shower of b******s!” Mary Davis finished below Dana, and that says it all. For anyone who is suffering withdrawal symptoms now that the campaign is over, never fear. The Jeremy Kyle Show is on every day, and surely there will soon be another series of Big Brother. For everyone else, it is time to forget about the Presidential campaign, and turn our attention to the big issue that arose from October 27th. A referendum took place to establish whether or not politicians should have the power to investigate people in the public interest. At present it looks as though the public voted no, but the very notion that politicians should feel that this is a power that they are entitled to is both galling and terrifying. It is Halloween, and it is time for the Irish public to be afraid, very afraid. Watch this space. Tomorrow the 24 year wait for Webb Ellis will end for a deserving New Zealand side. France at their best would find it difficult to beat the All Blacks in the form they have been in all tournament, and indeed since the last World Cup four years ago. And France are not at their best. Not by a long shot. In any case, Irish eyes may be on tomorrow’s match, but they won’t be smiling. Instead there will be a sense of what might have been. France don’t deserve to be in the final, and if Ireland had beaten Wales then surely with 15 men they could have defeated France. If, if, if. Once McCaw walks off the Eden Park clutching the trophy his career richly deserves, then it is time for Irish rugby to disengage from the World Cup proper and start picking up the pieces of this nation’s shattered dreams. There are issues that need to be addressed between now and the Six Nations, some more pressing than others. Lets start with the most important issue. Brian O’Driscoll will not be around for the next World Cup, and even though he is making noises about the next Lion’s tour in 2013, that is probably a step too far for even the world’s greatest ever centre. Therefore, before the next World Cup, Ireland need a new captain, one who is firmly established by the time England 2015 comes around. Would the next Six Nations not be the perfect place for Declan Kidney to bed one in? The question that has to be asked is who fills O’Driscoll’s shoes? 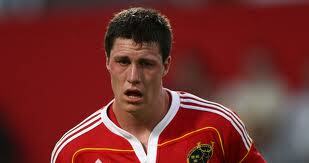 Of course O’Connell comes to mind, but in reality has he much more time left than O’Driscoll on the international stage? Kidney has to be bold and pick one of the younger generation as his leader. Jamie Heaslip would have been a shoe-in perhaps eighteen months ago, but now his mantle as the driving force of the back row has been usurped by the Tullow Tank, Sean O’Brien. Other candidates such as Rob Kearney and perhaps an in-form Jonathon Sexton spring to mind, but one look at world rugby’s greatest captains (at present Dusautoir, Parisse, and McCaw) would suggest that the rightful place for a leader is in the back row. Which brings us to the next issue to be addressed. Ireland need a bona fide number 7. For all his qualities, O’Brien belongs either at 8 or 6, because his main threat is his ball carrying ability which is nullified if he has to scavenge for the ball in the ruck with the likes of Pocock and Warburton. Unfortunately a number 7 isn’t just going to magically appear, but it is imperative that before the next World Cup one emerges. In the meantime, how about experimenting with O’Driscoll at 7 as a stop-gap? Given his supreme ball-winning ability in the ruck, it’s not as radical a suggestion as you may think. Ferris could be slotted into the second row to give another option there, with O’Brien reverting to 6. This won’t happen of course, and the back row that finished this World Cup will probably start next year’s Six Nations. It is a solid back row, but when it comes up against a back row with a proper 7 cracks will appear. The next issue is that of the half back partnership. O’Gara and possibly Reddan will not make it to the next World Cup, and as such the youthful partnership of Sexton and Murray must be given a chance to develop at test match level. The question is, if Sexton has an off day such as he is prone to, who comes off the bench to change the game? Ian Keatley has been given a chance with Munster with O’Gara in New Zealand and Warwick gone to Stade Francais, and he, along with Ian Humphries, must be blooded fully into the Ireland set-up in the coming years. Kidney must not be afraid to experiment. It is lamentable but inescapable that the two O-Apostrophe’s in the second row are unlikely to make the short hop to England in 4 year’s time either. O’Connell and O’Callaghan have been great servants to the Munster and Irish cause the past decade or so, and whoever replaces them will have much to do to dispell their giant shadows. Donnchadh Ryan is the most likely candidate to replace one of the veteran locks, but who will join him? Ian Nagle has shown great potential, not least in his man of the match performance for Munster versus Australia around this time last year. Dan Tuohy of Ulster and Devin Toner of Leinster are others who deserve the chance to prove themselves worthy. Kidney needs to don his white coat and goggle and experiment at centre too. He said during the World Cup that he sees Earls as the long term replacement for O’Driscoll, but there is doubts about his suitability for the physical nature of outside centre. Kidney for the next few seasons must pick and mix between Bowe, Trimble, Earls, Fitzgerald, McFadden, and heretofore uncapped players such as Danny Barnes and determine what combination will be potent enough to take on the world’s best once more in four years time. There is no need for Irish rugby supporters to panic if Kidney experiments and results don’t go Ireland’s way for a while. The time for panic will be if the manager fails to experiment, and lets the squad stagnate until its vital parts fall away. “I would imagine that the Irish people would be ecstatic if they qualify”. The words of Cindy Blundell, a Toronto native, when asked about the possibility of the Ireland football team reaching a European Championship for the first time in 24 years. Not so Cindy. It has to be asked why this is the case? Why are the Irish people so ambivalent about the possibility of having something to cheer next summer? Surely amidst the unlifting economic gloom, an Irish good news story of this magnitude would be something to warm Irish hearts before what will inevitably be a long winter? Perhaps a degree of the apathy is the fault of the Irish team tactics. Whereas the national rugby team in New Zealand played the majority of their games at a hundred miles an hour, watching their football counterparts can sometimes feel like the sporting equivalent of the dentist’s drill. It’s bloody painful. That’s no excuse however. The end justifies the means and if Ireland were to attain qualification then any amount of torn out hair and fingernails bitten to the quick would seem a small price to pay. Kevin Bourke, a 21 year old from Tipperary, pointed out that “a whole generation of Irish people have never seen Ireland play at a European Championships”. Perhaps then it is a generational gap. It is unlikely that the majority of NUIG students remember the heady days of Jack’s army, and were possibly still too young to appreciate the Saipan incident. Or as it was otherwise called, World Cup 2002. Not all those questioned were indifferent however. Some were genuinely excited at the prospect of following Ireland next summer. Conor Nolan, a 41 year old from Athlone said “of course I’m interested, because it’s our country and I’m a patriot”. This was an overall theme with those who said they cared about Ireland beating Estonia. It wasn’t so much an affinity with the Irish footballers themselves, but rather the idea that it would be the patriotic thing to do. Paul Curley, 23, from Galway held the opinion that the players were “overpaid and not worth stressing about”, and Samantha O’Connor from Longford merely admitted that “it would be cool to have something to cheer”. It really would Samantha. Even Paul Curley’s prediction of “a nil all draw in Tallinn and a scrappy 1-0 win in Dublin” would suffice right now. In terms of Irish support, the tide seems to be out right now, but if Ireland does qualify, then expect the country to be on the crest of a wave next summer. Enthusiasmus. Of the many collectible phrases that Trappatoni has coined in his stint as Ireland manager (“Richard Dunne is like wardrobe” anyone? ), this one stands out. Generally when watching Ireland under the veteran Italian it is hard to summon any enthusiasmus whatsoever, given the negative way in which they play.However two playoff places in two qualifying campaigns speak for themselves. In Paris two years ago Ireland tore apart a French team full of stars with a performance that was unlike any other under Trappatoni. No longer were the Irish a team of Cinderellas, constantly running away from the ball. Irish supporters thought that the team had turned a corner, and looked towards the qualification campaign for Poland and Ukraine with, here it is again, enthusiasmus. High minded notions of Barcelona-type football quickly fell by the roadside however, and the defeat at home to Russia seemed to send Trappatoni even further into his defensive shell. The team lumbered on, grinding out results and becoming increasingly difficult to break down. An eight game streak of clean sheets was only broken by Armenia last Tuesday. And now to Estonia. Somewhat short on Tallinnt (oh the wit! ), this team struggled to beat the Faroe Islands at home, and lost to the same team away. This needs to be reiterated. They lost to an island full of puffins. Ireland go into this game as overwhelming favourites and this is worrying. Ask and you shall receive. With the Irish team it is more often than not the other way around. In Paris no one expected a result. Dunne and co came within a hand of reaching the World Cup. In 2002 Roy Keane’s departure was supposed to spell the end of Ireland’s meaningful participation. We only lost to Spain on penalties and managed a victorious draw with eventual finalists Germany. Thus it is clear that Ireland do better when nothing is expected of them. They need to now be able to perform as favourites, and crush Estonia before they can get any modicum of self-belief flowing. Irish supporters should be able to start planning what believable illness will get them off work for four weeks next summer by the time the final whistle is blown at the first leg in Tallinn. Ireland have had an unusual run of good fortune, most apparent last Tuesday with the Armenian defender playing the wrong direction and their goalkeeper deciding that all he ever wanted to be was a Gaelic Football centre-back. After Paris all that was discussed was our lack of luck. Its time to quit whinging, because luck has been on our side recently, and getting the “easiest” of draws for the play-offs confirms this. A combination of luck, grit and some heroic performances have got us this far, none more heroic than Richard Dunne in Moscow. The hard work thus far must not be undone with an unthinkable defeat to Estonia. It goes without saying that this nation needs a lift. The rugby team provided that for the past few weeks and now it is the turn of the footballers. It has been almost a decade since we last had a summer of enthusiasmus following the Irish team in a championship, its high time for another. The Debt We Owe To The O-Apostrophes. It’s well documented how Jack’s Army played their part in lifting Ireland out of the gloom of the late 80’s and early 90s. In Declan Kidney’s rugby warriors we have had a team who have made this recession oftentimes fade to the background as we rejoiced and revelled in their victories. They carried the hopes of a nation on their shoulders, and rarely have they let us slip. March 21st, 2009. A great day to be alive and Irish. Celebrations started around 5pm as Ireland claim their first Grand Slam since the Jack Kyle era, and continue well into the night, fueled further as Bernard Dunne claims a world title. What housing crash? What recession? Ireland for a fleeting second feels like a place where anything is possible once again. Tommy Bowe’s version of Black Velvet Band becomes an anthem for a country revitalised. If we could but have bottled the euphoria. Fast forward two years. Our country is still in the doldrums, our presidential election is a shambolic affair with perhaps two genuine candidates, and there seems to be no end to economic woes. Every day people young and old leave for pastures new. Ireland is a bleak place, and for many there is no job, no reason to get up in the morning. Enter the heroes of Cardiff once more, with a few new faces. People with no reason to get up in the morning drag themselves out of bed to cheer on O’Driscoll and co. The cobwebs of a poor August are blown off against a physical American team, and then the unimaginable happens. The Wallabies are steamrolled by an awesome Irish pack. A mixture of the experienced and the somewhat raw, from 1 through to 8 their common denominators were pride, power and passion. Fans at home and abroad wept tears of unadulterated joy. We were a nation once again. A nation leaking its children at an extraordinary rate. The Irish diaspora is swelling, and the majority of them seemed to be in New Zealand for the last month. They came from within Kiwi Country, from Australia and further afield. Some have been living abroad for years, some since the recent harsh times at home forced them out. Many of the tricolours waved in the stadia were held aloft by people who had spent a large chunk of their savings to follow the team from Ireland. The team never missed an opportunity to praise them, and rightly so. When Ireland topped the pool, we dared to dream as a nation. We dared to dream of a final against the All Blacks. We dared to dream of a World Cup Final, of O’Driscoll lifting the Webb Ellis trophy. Wales put paid to that, and we shall watch the rest of the tournament with the vaguest of interest. But the memories of a famous win against Australia will remain long after the hurt of losing to our Celtic cousins diminishes. We may well have seen the World Cup swan song of some of the greatest rugby players the world has ever seen. Forget Wilkinson or Carter, we had O’Gara. Ice courses through his veins, ice that was sometimes melted by the heat of his passion for winning, but a better controller of a game you would be hard pushed to find. O’Driscoll, universally acknowledged as being one of the greatest centres of all-time. He never shirked a tackle, and rarely missed a scoring opportunity. Three tries in Paris all those years ago, and rarely a downward blip in his performances since. O’Connell. Ferocious, committed, magnificent. Finding a pack leader like him will not be easy. O’Callaghan, his partner in crime. Never gave less than his all for his country, and always willing to stick his head where many would decline to stick their foot. These are the O-Apostrophes who have been the backbone of this Irish side for more than a decade, and if they should depart when the dust settles from this World Cup then they should leave with their heads held high and our unconditional praise ringing in their ears. We are a small and proud nation, one which punches above its weight in sport to a level that at times verges on the ridiculous. It is something intrinsic in our nature that drives us to relish a challenge, that makes us often the victorious underdogs. Tell us we cannot do something, that we cannot overcome an obstacle, we dare you. We shall do, we shall overcome. If our politicians had half the heart and passion of our sporting heroes, this would be the greatest country in the world. Alas they do not, but because of the feats of those same sporting heroes, there are times when the people of this country feel they could walk on water. For that we thank them. Never has a Tom Jones song sounded more like a funeral march. As “Delilah” echoed around the Cake Tin, Ireland’s golden generation said goodbye. Ireland fans at home yawned and stretched as they switched on TV sets in bedrooms, sitting rooms and bars all over the country in the early hours of the morning, but it was the Ireland team who could have most done with the coffee. A Shane Williams try in the first few minutes set the tone for this defeat. In the preceding phases, a rejuvenated Jamie Roberts steamrolled Donnchadh O’Callaghan. Alarm bells rang. Ireland had been behind for a total of five minutes in the previous 4 World Cup games, but in this game they were never ahead, and rarely on par. It wasn’t just parity on the scoreboard that Ireland struggled to achieve, it was in the pack, it was at 10. Ronan O’Gara’s radar was off. Priestland looked like the fly-half with over a century of caps, O’Gara looked like the rookie with a handful. This was not entirely the fault of the Cork man however, it was the result of outstanding tactics from Welsh coach Gatland. O’Gara never got a split second to kick his usual pinpoint ball into touch. Gatland likes beating Ireland. In fact, he loves nothing more. He had egg on his face after his open mouth caught flies two years ago when Ireland secured the Grand Slam in Cardiff, but Saturday was the towel with which he wiped the yolk off. Ferris and O’Brien never got on the front foot, and this was crucial to how the game progressed. Red shirts were in the faces of any Irish player unfortunate enough to be in possession of the ball. Unfortunate, because they had no chance of offloading, yet misfortune wasn’t the key. It was the utter flatness of play that Ireland perpetuated that allowed Wales to be up so quick in the tackle. All passes were received at a standstill. Questionable kicking, not just from O’Gara but from all the backs, allowed Wales to counter at will. The balls were punted straight down the throats of Halfpenny and Williams. In contrast, Earls, Bowe and Kearney were always running backwards because of the near immaculate kicks to the corner from Priestland. Stephen Jones was left in the grandstand for the quarter final, Priestland’s performance on Saturday will ensure the veteran will have his feet up for the semi too. This has been a World Cup of several highs and one low. Keith Earls’ finishing has been superb all tournament, and he can be proud of the manner in which he finished in the corner to give Ireland brief hope in the second half. The back row was immense, and O’Brien though leaving the competition early will still surely be up there when it comes to picking the tournament’s best player. There is a bright future in Irish rugby, but it just seems a little dimmer right now after seeing the World Cup swansong of some of the greatest rugby players this country and indeed the world have ever seen. Friday night, make sure you’re in bed early. In fact, be in bed before dark. Otherwise, there is a danger you will sleep in and miss the most crucial game in Ireland rugby history. Never before has there been a better chance of Ireland reaching the semi-finals of the Rugby World Cup, and dare we say it, the final itself. A win Saturday will ensure that Ireland achieve their best ever finish in a World Cup, come what may in subsequent games. There was a cloud surrounding the Irish squad as they left these shores a few weeks ago. The warm up games had been a disaster, perhaps not in the mind of Declan Kidney, but in the minds of the fans and the media. The common consensus was that Ireland would be on a plane home after the Italy game, or best case scenario after a quarter final with South Africa. The USA game did little to allay fears, it was tense, it was tight, and there was no bonus point. There were echoes of the last World Cup, when Ireland failed to put away the smaller fish in their group and got dumped out without even a quarter final to their name. Hopes had been high, and there was much wailing and gnashing of teeth in the fall out. So with these memories still to the fore in supporter’s minds, it was with heavy hearts that Irish supporters waited for the Australia game. But then, oh glory of glories! It was a barnstorming performance, particularly from the pack, and the World Cup was turned on its head. Now if Ireland won their final two pool games then the quarter and semi finals layout would ensure a Northern Hemisphere vs Southern Hemisphere final. This has been the case in the last two tournaments, but wasn’t expected to be so this year. Russia were brave in defeat, Italy underhand, but both were dispatched and this Ireland team stands on the cusp of greatness. In their way is a Wales team led by Sam Warburton, captain at the precocious age of 22. This already world-class number 7 will line up against perhaps the player of the tournament thus far, Tullow man Sean O’Brien. There’s no point in speculating on who will prevail on Saturday, it is going to be a tight one either way. Ireland’s backs have started firing on all cylinders in the nick of time, and Wales play a beautiful expansive style of rugby. Expect tries, expect heavy hits, expect an epic. But in the meantime, if you find a quiet moment, dare to dream of Irish hands on the Webb Ellis trophy. Usain Bolt lost the chance to regain his World 100 metre sprinting crown last week with a false start in Daegu. If only Tipperary could have been half as quick out of the blocks on Sunday in Croker. To be fair it was Kilkenny’s relentless chasing and aggression that made it difficult for the Premier to gain a foothold in the game, but speaking of footholds, why were Tipperary players so much quicker to slip on the greasy surface than the Cats? If the last two years of Tipperary Kilkenny finals have shown anything it is that there is precious little room for error of any sort, and wearing the wrong footwear, on a day where the heavens opened pre-match in Dublin, was possibly worth a few scores to the more sure footed Kilkenny men. No-one was more sure footed in the Kilkenny team than Tommy Walsh. He doesn’t half get under the skin of the Premier faithful, and he’ll have done little to endear himself to them after Sunday’s performance, where he asphyxiated any decent ball into the Tipperary full forward line. Lar Corbett, so effective this time last year, was reduced to a cameo role for Pa Bourke’s goal. John O’Keeffe on his All Ireland Final debut was made scapegoat for Tipperary’s defensive failings just before the half hour mark, making way for Brendan Maher. However even last year’s Young Hurler of the Year couldn’t stop the rot, as Kilkenny struck with a goal just before half time. In the Tipperary forwards, John O’Brien and Patrick Maher were the chief instigators of most decent moves Tipperary put together, with the latter’s tenacity one of the few aspects of the game that the Tipperary crowd could cheer. There is little to be gained on being negative however. There will have been post-mortems had in cars and bars all over Tipperary since the final whistle blew on Sunday. Looking forward, there is little reason to worry that Tipperary won’t grace Croke Park on the first Sunday in September next year. The hunger was there this year for sure, but the favourites tag weighed heavy on Tipperary’s shoulders. There’s enough determination in this side to ensure that they’ll be hungry for another crack at the Cats next year. Kilkenny were wounded last year, and were always going to be dangerous. If Tipperary can make like the Cats and convert the pain of losing into the fuel that fires them to an All Ireland victory next year, then Sunday need not be in vain. And maybe a change of boots would be in order too. The Sunday of the first weekend in September. If they make calendars in Kilkenny, it wouldn’t be too difficult to believe that they have this day simply labelled “Day out in Croke Park”. For years now the Cats have cornered the market in All Ireland appearances, and what’s more they had cornered the market in winning Liam McCarthy too. Until last year. Lar Corbett’s hat-trick as fresh in your mind as it was when the final whistle blew on September 5th last, you set off with a smile on your face towards Dublin. Your car could nearly drive itself up the M7 now, so often does it make the pilgrimage for Liam McCarthy glory. You turn on the radio to hear what the country is saying about today’s game. The airwaves are buzzing with the anticipation of another Premier versus Cats showdown. When Manchester United or Chelsea win the Premier League year after year, people rightly complain about the monopoly the big teams have, and how monotonous it makes the lives of supporters, particularly of the smaller clubs. However no one who follows hurling could begrudge another Tipperary Kilkenny decider. The last two years have thrown up two of the finest, most dramatic finals in the history of the sport. Hat-tricks scored and red cards flashed, cruciates crumpling and record attempts falling at the final hurdle. While you cruise along the motorway, you remember an anecdote you heard a few years ago. Roy Keane back in 2004 gave a motivational talk to the Cork Senior Hurling team, just after they had won an All Ireland. He told them not to think about two in a row, but rather to set their sights on five consecutive All Ireland victories. Brian Cody must have been hidden somewhere listening to the Manchester United man because it was his Kilkenny side who came within a game of doing the never before achieved. Since Tipperary’s superhuman effort which halted the drive for five last year, people have been all too quick to write off Kilkenny and their chances for this year. You however have come to the conclusion that people who dismiss this Kilkenny team clearly don’t know their hurling. The winning mentality that Cody has instilled means that the Cats won’t take too kindly to starting today’s decider as underdogs. A slight shiver of fear runs through you as you think of how dangerous these wounded Cats could potentially be. And as soon as you feel it, its gone again, as you focus on the positives. The free-scoring form of the forwards up to the Dublin semi-final. The semi-final itself, which was as good a work out as the Tipperary team could hope for. Lost in your thoughts, you find you’ve already reached the outskirts of Dublin, traffic mounting as you approach Newlands Cross. In times of recession, sport and other forms of entertainment suffer as people tighten their belts and prioritise how they spend what little cash they have. As you make your way to the city centre however, you can see that the allure of Croke Park on All Ireland Sunday is too much for people to resist. Throngs of people are gathered along O’Connell street, bedecked in blue and gold and black and amber. You glance in the window of the Kylemore Cafe, see those inside nursing a hangover from Coppers the night before, indulging in a fry in the hope of feeling revived in time for the match. You carry on down past the Gresham, your heart beat quickening with every step in the direction of GAA headquarters. “Hats, flags and headbands” is the cry which greets you when you first lay your eyes on the stadium which suddenly appears, looming above the mass of supporters. You pat your pocket to reassure yourself that your ticket is still there. Time to make your way through the turnstiles. Once inside the depths of Croke Park, you make your way up towards your precious seat. You count the steps up to it, and as you do more numbers come into your head. 1950/51, 1961/62, 1964/65. The years that Tipperary have won consecutive All Irelands. Many of those here today won’t remember even the most recent of these achievements. Its time for fresh memories to be made. Another hat-trick today and Lar will have a statue erected in his honour outside Semple Stadium. Roy Keane might have had the right idea, but to get to five in a row you need to start with two. Today’s the day. Up Tipp. The Clare shout turned to the Clare murmur and eventually to the Clare silence. Silence because by the end of the game the scoreboard didn’t give followers of the Banner county all that much to shout about. A game that started with so much promise for Clare was turned around within 5 minutes midway through the first half with three Tipperary goals. The speed at which the Bonnar Maher and Lar Corbett’s goals flew in brought to mind the D’Unbelievables “One bullet. Bang Bang!” skit. Pat Shortt and John Kenny made their comeback this year and Lar and Bonnar made sure that Tipp made a hasty one on Sunday in Limerick. The scoreline flattered Tipperary in the end, as a young Clare team really put it up to the All Ireland champions, particularly in the early stages. They roared into a 1-5 to 0-2 lead, with the impressive statistic of having a different forward take each score. Most notable of the Clare forwards was Conor McGrath, scoring 1-6 on his championship debut, the goal a cracker within a minute of the throw in. Focusing on Clare however is pointless at this stage. A Munster Final against Waterford awaits the Premier, and the onus is on the panel and the management to learn from today’s game. Some of the shooting was exemplary, and four goals on any day is a good haul, however a more experienced team than Clare (i.e. Waterford) will make things a lot more difficult. The wides tally of 13 was also something which this Tipperary side can and will improve on. Both Padraic and Bonnar Maher gave performances of the highest calibre on Sunday, with the former winning man of the match for both his defensive solidity and his ability going forward, with Bonnar gaining plaudits for his tireless work ethic. Waterford will surely pose a stronger threat than either of the relatively inexperienced teams that Tipp have faced thus far in this year’s championship. John Mullane always seems to raise his game to another level against the Premier. However with a tightening up in defence and a sharper eye for scores, the Munster final will surely be Tipperary’s to lose.